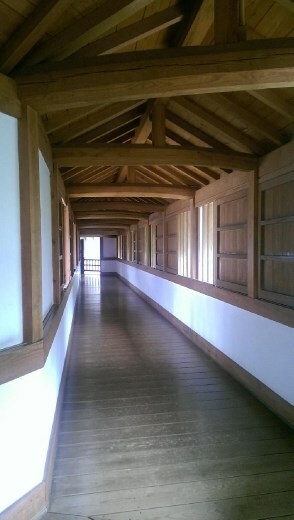 This is part of Hyakken Roka or the long corridor which is 300m long. It runs along the western rampar. THe wall contains hidden defences. There are sleep quarters too.